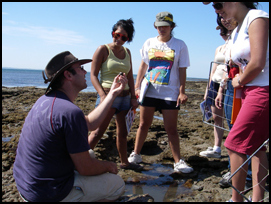 This unit is an introduction to ecology; the scientific study of the interactions between organisms and their environment. Ecology and biodiversity forms the foundation for understanding conservation and the management of genetics, species and ecosystem diversity. The approach taken is to address core ecological theory, but with an emphasis on contemporary management issues and applications. Topics include the scope and approaches of ecological enquiry; abiotic and biotic factors determining distributions; population growth and regulation; species interactions; patterns and maintenance of biodiversity; food web analysis; disturbance and succession; and production ecology and nutrient cycling. Particular emphasis is placed on integrating ecological processes across spatial and temporal scales. Practical work will be completed via field excursions together with in-laboratory practical sessions. 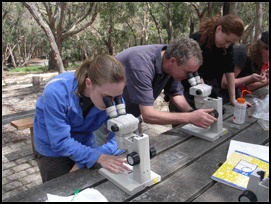 Apply basic ecological sampling techniques in ecosystems and be proficient in summarising and reporting that data in the format of a scientific paper. This textbook can be purchased in hardcopy or in an eBook format. Details will be provided in lectures.